To make sure you get the best deal we'll show you great prices from all of our drivers, including TRANS FAST REMOVALS & FURNITURE COURIER SERVICES , if they're available on the day of your move. 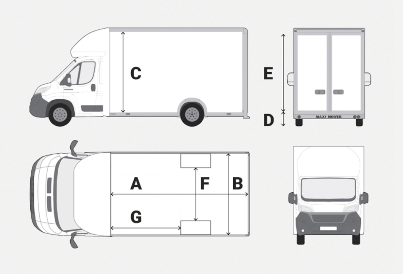 Have a question for TRANS FAST REMOVALS & FURNITURE COURIER SERVICES ? No problem, send them a message and they'll email you back as soon as possible. If you have a more general question you might find it answered in the FAQ, or you always contact one of our brilliant customer service team. * TRANS FAST REMOVALS & FURNITURE COURIER SERVICES won't be able to see your email address. 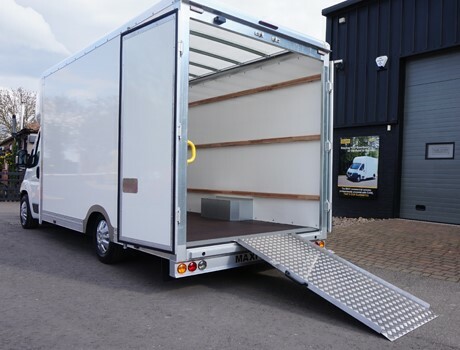 Internal Height (C): 2.5m | 8ft 2"
Height through Door (E): 2.25m | 7ft 4"
The Van is equipped with loading ramp for easy access, flight cases or motorbikes. 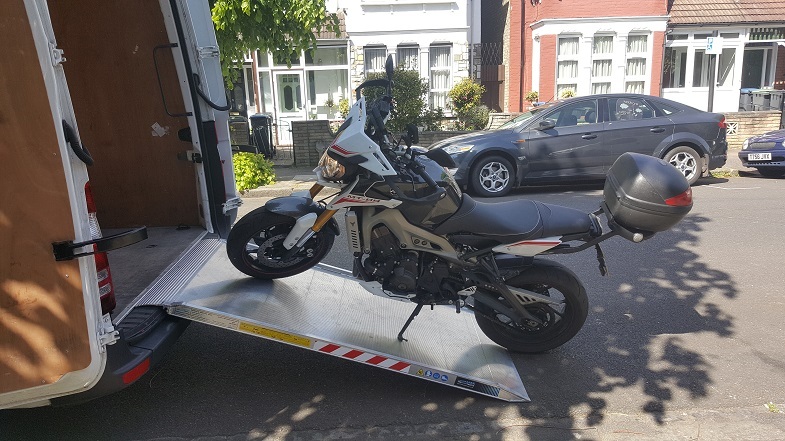 We are a removals, courier services and motorbike transport company, with vast experience in the transport business. With base in UK London and in Spain (Ronda-Malaga). ? covering UK Nationwide, Belgium, Netherlands, Switzerland, France, Spain, Gibraltar and Portugal and other European countries on request. also we can packing your goods on request. 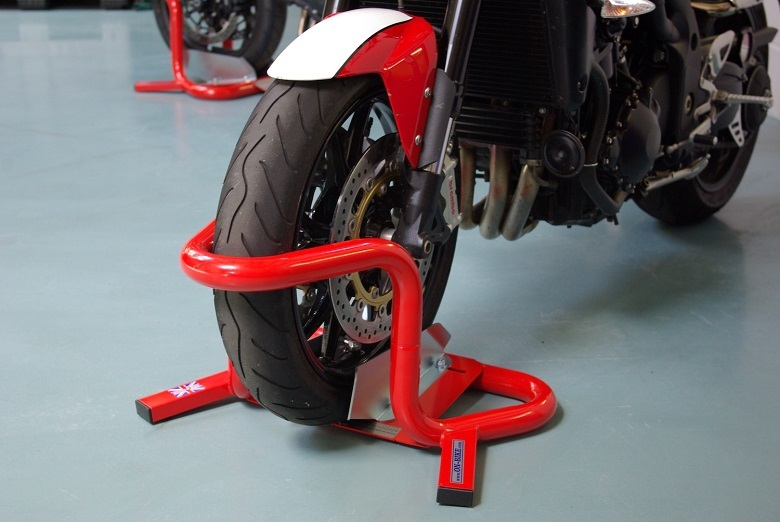 european motorbike transport, Ikea, Ebay & Gumtree collections, trade shows transport, etc. Affordable, reliable, punctual, friendly and efficient service. Clean Van, SatNav, Alarm, Passenger blankets & First AID Kit. 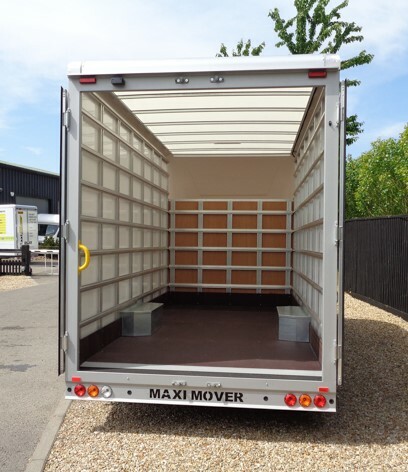 Trolley, loading ramp, blankets and straps to transport your items safely. Please book and review for others to see prior to booking us. Jose provided absolutely first class service at very short notice. He was very professional and polite, he arrived early and took great care of our things. Thank you very much. We would highly recommend him. We highly recommend Jose's services! He was perfectly on time, was a fantastic help loading the van, and he transported all our goods safely from Oxfordshire all the way to Scotland. Very friendly person too, we would definitely hire him again. I can very warmly recommend this service. Traffic was horrible but that had everything to do with the bank holiday weekend and nothing to do with our lovely driver. He got us up a very steep, narrow street without complaints and loading went quickly and efficiently. Thanks! Very prompt, helpful and information. Excellent service. Jose was really friendly and helpful. He took care when we loaded/unloaded. He arrived at the destination 5 mins after me which worked out perfectly. I booked this last minute and feel really happy with the service. I would definitely recommend to others. Thank you. Driver was excellent; the move was very easy. Would absolutely recommend. Made the whole thing a breeze - finished much sooner than I expected. Friendly and really helpful. Jose is an amazing guy. I have no words for his exceptional services. You can't imagine how helpful this guy is. Without Jose our moving would be a nightmare. Highly recommended!! Driver arrived promptly and was very efficient. Clean van. Would rate the service very highly. Jose was really helpful and calming during a stressful move! Thank you so much for your help. Was really happy with him - he took good care of everything and was very patient with us. Jose Antonio is kind, diligent and courteous. In other words a gentleman! I wholeheartedly recommend him. Jose was excellent & would recommend him to family & friends. Jose was a hero. Absolutely fantastic from the start to the end, and a delight to talk to as well. We intend to book him for any future moves. Professional through and through! Jose was brilliant! Well organised, professional and friendly. Great proce too. Highly recommended..
Jose was a pleasure to work with. He was incredibly helpful, easy going and flexible. We would definitely book with him again. Great service, nice price, book with no hesitation! Jose is excellent. He's punctual, reliable and went over and above to help us. If we ever need a man in a van again, we will be using him. Jose was very professional and did a great job moving all our items (a lot!). I can only highly recommend him and will definitely call him again next time we move! Very helpful and friendly, top marks! Driver was excellent. Great communication. We made great time and we're even a little early! I'd definitely hire again! I love your service. Always great people when i use it. I goofed on my booking and service staff fixed the problem in a heart beat. Can't beat that! Brilliant from start to finish. Very punctual, polite & helpful. Which I really appreciated. I would absoutley, without hesitation recommend & use again. Many thanks. Our driver was really friendly and super helpful! Thank you!!! 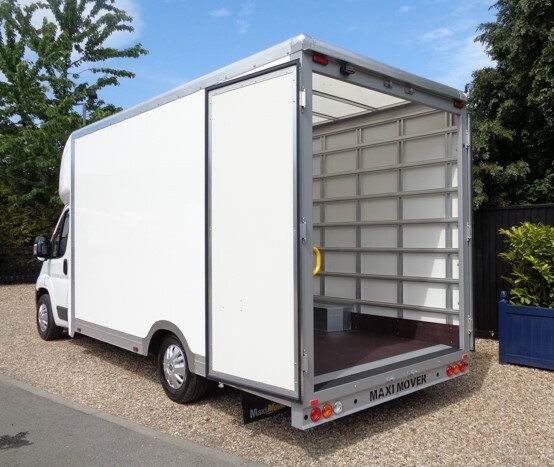 The driver was helpful, well organised and friendly, the whole removal quick and efficient. Would definitely book him again if need be, and can recommend him without any reservations. Excellent service, got it all done very quickly too. We can't say enough about how good this was. We had a text today Jose was on his way, then he made the journey from collection to meet us at our lock up in record time and was helpful and friendly. 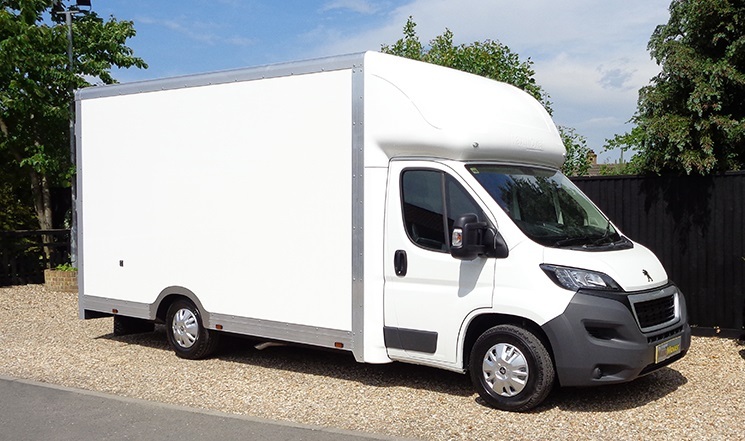 Would definitely recommend Jose and also the whole 'compare the man and van' process, it was slick and easy from start to finish including paying by PayPal - with lots of commmunication and useful info - what's not to love? We'll be back for our next collection or move, many thanks Jose and CtM&V ???? Really lovely guy, very helpful patient. Couldn't of asked for more. The driver was very helpful and friendly, highly recommended! Jose was really helpful. Great communication, ontime and professional. All good! Great driver and very helpful! Jose was great - on time, everything loaded and unloaded carefully and quickly, and drove very well in thick fog. I'd highly recommend Jose if you are looking for a man and van! Jose was excellent. Would definitely recommend and book with him again. Jose was great with the moving and driving! I would definitely recommend him!! Thanks, Jose!! Jose was brilliant. He went above and beyond all with a smile on his face! I made sure I got his card at the end because if I ever need a van again it'll be his! First class service, would highly recommend,simply the best ???? Excellent service. Very careful packing items into the van and making sure blankets were used where needed and everything was secured. Would use again. Despite last minute request for the job he arrived in good time. Brilliant! Really efficient, organised, polite and hardworking. Would highly recommend Jose! All round excellent service. Would use again. He was very helpful and also respectful to my stuff. Highly recommended. Fantastic experience. The driver was lovely and arrived nice and early, worked hard and very quickly. We were done in no time at all! Jose was on time, had an excellent new and large van, loads of blankets and ropes and took incredible care with everything. Highly highly recommend.